Strike King Micro King is 1/16oz and the ultimate spinnerbait for those Ultra Light rods. The Micro King can be used in ponds, Crappie Fishing, and is great for kids! 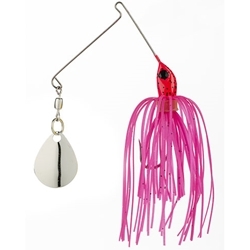 This spinnerbait is available in a wide selection of vibrant colors which attracts lots of bites.